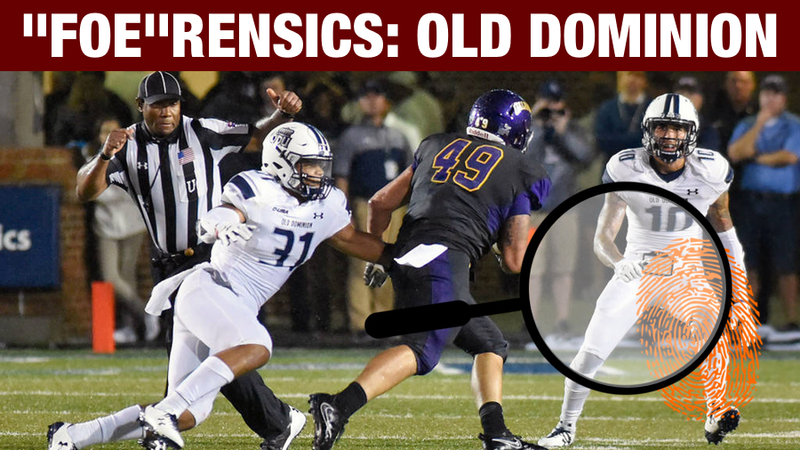 A completely accurate history of the love-child that is ODU football. Hello. Welcome back to the most popular feature on TKP among opposing fan bases. Frequently, dastardly columnists will write slanderous and malicious things about upcoming opponents, but we at TKP strive for a balanced, reasoned approach to coverage of the teams Virginia Tech's gridiron heroes take on. Particularly me. 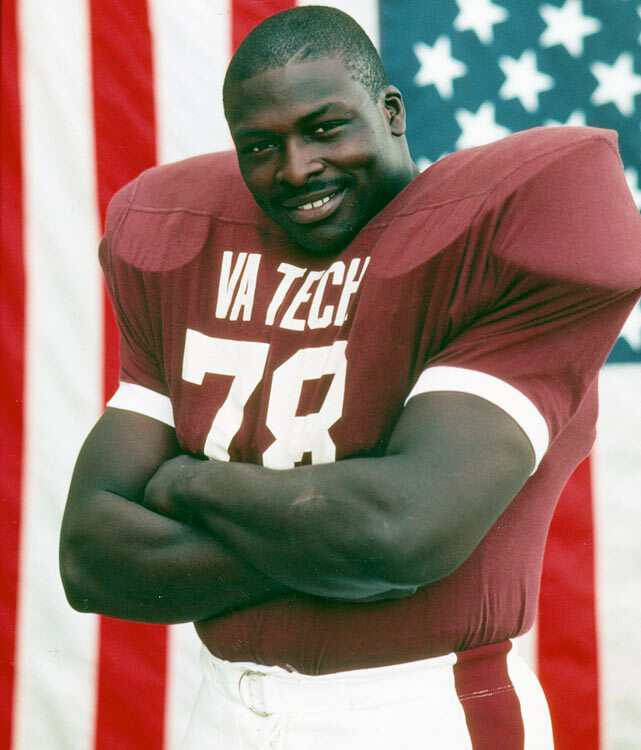 So buckle up, grab your favorite malt liquor and let's take a ride down to the 757, where many of the greatest Hokies have come from, and where great Hokies will continue to come from despite any attempts to set up a home team there1. The flag, the hairline, the moustache, the pose...honestly, this picture deserves an entire column dedicated to it alone. 1. So what's been going on lately? 2. Dude. I don't care. I mean about Hokie football. A. Oh! Well. Half of the team decided to let the other half shine in back to back weeks. Against Delaware, the Hokies tied a school record for fewest points allowed (zero) and the following week, the defense forgot to show up for a quarter, but then the offense tied a school record for offensive yards against East Carolina. I tell you, I don't have CBSSN AND I had to go to my father in law's birthday party that afternoon, but I spent the entirety of the third quarter sitting at the end of the dinner table, earbud in, listening to Laze and Burnop get increasingly excited and bewildered at the atomic wedgie the Hokies were pulling on the Pirates2. A. Yep. And, as a reminder, as the only TKP staffer to predict an undefeated season, WHICH Tech is currently on pace for, I am in first place. Mason and French may know how to diagram a play, and what an "Inverted Veer" is and what a "Linebacker" is, but I am demonstrably smarter than everyone else at this point in the season. Do not forget that, unless that status changes. 4. Try not to pull something patting yourself on the back. So who's up next? A. The mighty Monarchs of Olde Dominion. This is celebration of the 12th monarchs in dynastic rule across the world, like Nerva and Richard II. Olde Dominion is in Norfolk, and is one of the newer institutes of higher education in the Commonwealth of Virginia. There are quite a few high quality universities and colleges in Virginia: Virginia Tech, James Madison, William & Mary headline the list, but VCU and George Mason certainly add to a strong supporting cast with specialty areas in which they excel. And with all these great schools in one state, they start bumping into each other and, well, things happen. So William & Mary set up a little satellite campus back in 1930 in Norfolk; just to have a little quiet space closer to the beach to kick back on weekends. Well, it just so happens that a little school known then as VPI was looking in the same area for the same kind of thing and William and Mary offered to let VPI kick it in their little get away campus to, ya know, just chill and Netflix. It was strictly platonic, just two schools hanging out. 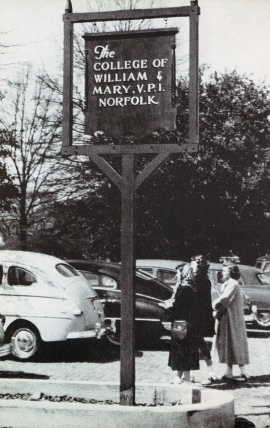 Well, being the two best colleges in Virginia, it turns out William & Mary and VPI had a lot in common, and they had a lot of fun on those little holiday weekends for decades. VPI would show William & Mary how to build a catapult and explain aerodynamics, William & Mary would teach VPI about the House of Burgesses and that Thomas Jefferson wasn't really that much of a douche when he was a student, that all came later. One weekend in the early 60s, William & Mary introduced VPI to colonial mead, and VPI showed William & Mary you could mix it with bourbon and have a real good time. Well, one bourbon led to another, then one thing led to another, and they both woke up the next morning hungover as hell and no one could find William & Mary's underwear. Things proceeded as they do when a friendship takes a drunken turn into something more; awkwardly, but still friendly. Neither school wanted anything too serious; these are colleges after all, and the weekends didn't obscure the fact that during the week, they were a four-hour drive apart. But a few missed grading periods later, and it was time to face facts; that drunken night was going to have more consequences than just the future of their friendship. Being focused on academics, neither were really prepared to bring an entire school up, but William & Mary had very conservative, colonial values and they both agreed keeping it would be for the best. To celebrate their common Virginia heritage, when the little school was first delivered in 1962 they named it Old Dominion Kindergarten. Due at least in part to its impressive parentage, it quickly rose through the ranks, achieving College and then University status in short order. Having parents with such strong credentials and work ethics certainly helped. 5. I never knew that colleges had the right parts to make more colleges. A. That's why I'm here. So anyway, as any child will, ODU was somewhat rebellious against its parents; a school that is closely associated with the founding fathers who broke away from England, and a school that is embodied by a blue collar, hard working mentality. So ODU began to gravitate to LOLUVA, a ne'er do well who named their mascot after the colonists who supported a failed king in Charles I who was eventually executed for his douchebaggery. Hence, they named themselves the Monarchs, after Charles I and all that he represented. 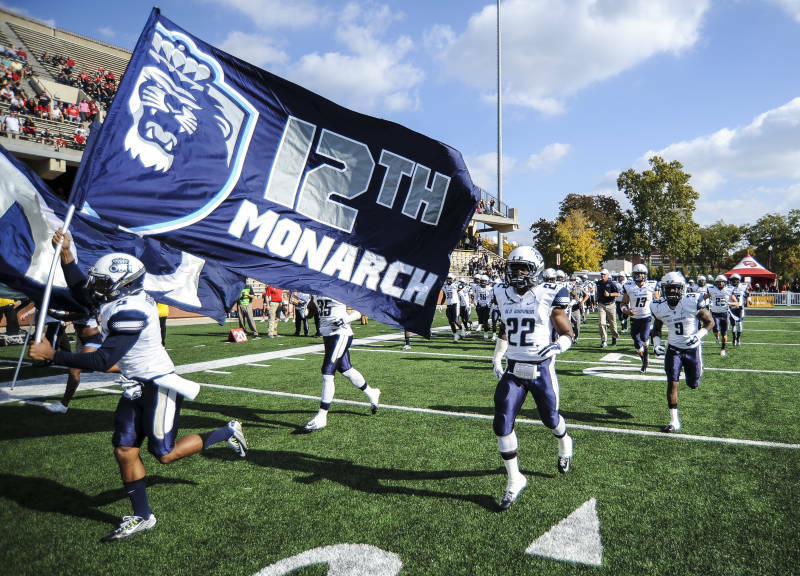 Now that ODU has matured somewhat, they tend to downplay their one-time teenage crush on LOLUVA, insisting that their mascot has more to do with their love of butterflies. 6. Very intimidating. Tell me more interesting things about ODU. A. Yes! They boast alumni such as the guy that hosted Cash Cab, a show I would have TOTALLY DOMINATED. Former WWF wrestler Paul Diamond played soccer there before losing to Shawn Michaels on the first ever Monday Night Raw. They also claim a Watergate burglar, Frank Sturgis, as well as the Andrew Ridgely of the Neptunes, Chad Hugo. Actually, Hugo might have it worse than Ridgely, because at least we all knew there was another guy in Wham!, I had no idea the Neptunes was an actual group and not just Pharrell. 7. Do they have footballers? A. Yep. So, ODU has gotten to that age where they realize their parents are not the worst, but are actually someone to look up to. Since William and Mary regularly battles JMU and Richmond for the second best team in the state behind Virginia Tech, ODU naturally decided to follow their parental lineage and start a football program. 8. Oh. Are they any good? A. Yes and no. They have been a D I-A school for three years, and managed to get to a bowl game last year, and won! Over Eastern Michigan. In the Bahamas. They are in Conference USA, which is now the conference you get into if you aren't good enough for the AAC, which is the conference you get into if you aren't good enough for a real conference. They are essentially one step above the Sun Belt, which is actually kind of impressive since that's the default conference for those stepping up to D I-A. So they regularly battle football powerhouses: Charlotte, Western Kentucky, and Florida International. 9. Do they have a coach? A. Yes. Bobby Wilder, who played his college ball at Maine and has been ODU's only football coach since their program restarted3. He only got his job thanks to his cousin, former Virginia governor Doug Wilder, but he's done pretty well since. He's never beaten a BCS conference opponent, but he's whooped up every other school in the state he's played, including JMU and William & Mary. 10. Does their football team have players? A. They do! In Monarch tradition of having a visiting royal hold an honorary spot on their roster, they've got Prince Ajegwu, heir to the throne of Zamunda. Bunmi Rotimi, who is firstly a delicious Vietnamese sandwich and secondly a kind of pasta. Not only do they have a Kesean in the backfield (Strong), they've got a Keisean as a linebacker (Wilson). Jamez Brickhouse, who I can only pray you're supposed to pronounce like the Colombian soccer player3. Finally, I present Jamshyer McUmber, who may have the greatest name of all time. I don't even have a joke here, other than the fact that his siblings are Nick and Nora, his parents are Rick and Melanie, and he's JAMSHYER. And yes, if I have another kid, he will be Jamshyer Fuller. FULLER KLAXON! FULLER KLAXON! FULLER DEFCON RED! A. I don't want to alarm anyone, but they have truly learned from their parents and started recruiting Fullers. Malik obviously isn't one of Mama Fullers, and she always said that branch of the family would never amount to anything, else Malik would be playing a home game in Lane this weekend. 12. Any cool football related traditions? 13. Do they have rivalries? A. According to Wikipedia, their biggest rival is VCU. Who doesn't have a football team. So...see above answer. 14. Do they eat at ODU? Delicious and cheap. They've never gotten our order wrong. Nice ladies very comfortable and friendly place. Food is good and that special sauce "Love it"
That is inappropriate. INAPPROPRIATE, CYNLITHIA! 15. And do they barbecue? Food is seasoned with love. Employees are very friendly and helpful. Pricing and quantity visit great. You get a bang for your buck. I might be the only one, but neither of my grandmothers could cook for s#*t. The most cherished food memory with either grandmother is when one took me to Friendly's and let me have an ice cream sundae for lunch and another one for dessert. This kind of endorsement tends to cause an adverse reaction in me. Finally, I'd like to end with the owner's response to this comment from Tatiana, who said "Hands-down the best place for BBQ in Hampton Roads. Authentic soul food from the hands of the talented Miz Lorraine. You'll feel like family here." 16. Tell me about FAINTs. A. Apparently someone told Josh Jackson that they've got Joey locked in a basement somewhere and if he throws an interception that they're going to kill her. Whatever they're doing, it's working! Jackson REFUSES to complete a pass to anyone that's not on his team. 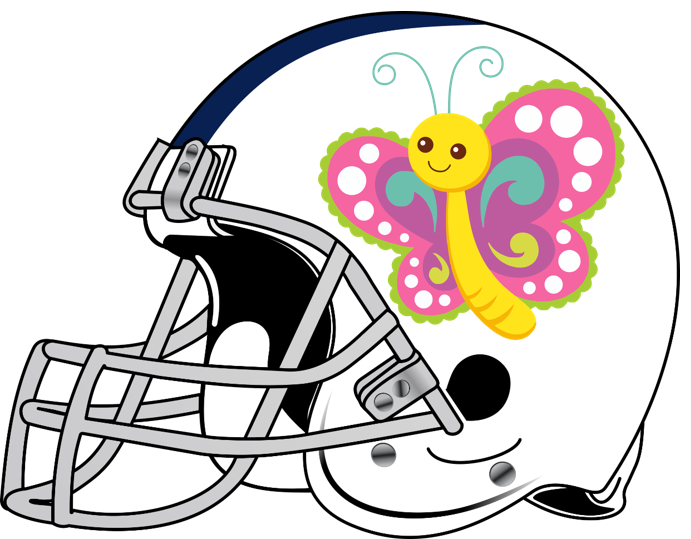 On the flip side, the defense is hauling in a pick per game, which is a little disappointing, to be honest. And no defensive touchdowns? I mean...no, it's fine. It's great. I'm not upset. 17. Great. Way to take the shine off 3-0. Anything to watch for this weekend? Enjoy the game! Hopefully next weekend lots more people will be coming to our citaaaaaay. 1And if you think that's a not-so-veiled shot at LOLUVA holding scrimmages down there, well, you know me too well. 2Laze getting deadly serious about the Pirate puns he was dropping was delightful. 3That's right! They had a team back in the 30s that essentially got discontinued due to a $10,000 debt. Don't ask, I didn't. Love the indirect digs at uva sprinkled throughout this piece. Do we still call W&M? Or just argue over how ODU was raised? Colleges drunkingly getting it on making more colleges. Whatever is ticking inside that head of yours, I hope it never runs out of batteries. One of the best underrated movies, love all the different people Eddie played. On that note, is there an archive of radio broadcasts? It would be a pretty cool way to pass the commute, listening to old games. Shame this never got any answers, but as it turns out I made my last commute to date about a month later. I'm sure I could still find time where I'd want to listen, but it's a bit less of a priority now. How do you have time to do this? A leg for content that has to be alcohol induced. My son does live comedy. You two should get together!! "Excellent work." As the unofficial record holder of the most reads of this segment without actually being a TKP member, I can now officially take the opportunity to applaud you for your work. One of the favorite parts of my Thursday/Friday mornings is cracking open a cold Country Club and reading these at the office. 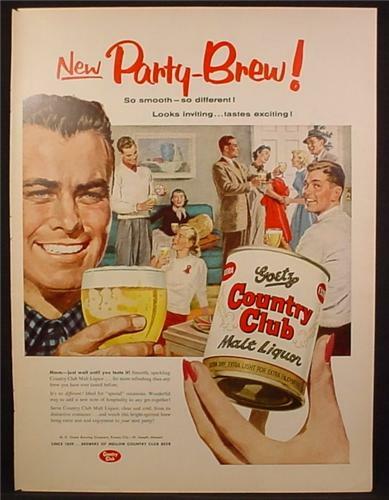 I have fond memories of Country Club brunches at my townhouse in Pheasant Run! So smooth - so different! Looks inviting ... tastes exciting! As your former roommate... I disagree with the fondness of said memories. Never will I have cheered harder for Boise. There are quite a few high quality universities and colleges in Virginia: Virginia Tech, James Madison, William & Mary headline the list, but VCU and George Mason certainly add to a strong supporting cast with specialty areas in which they excel. Once I read that - and then reread it to make sure I didn't miss anything - I knew it was gonna be a good time. I'm pretty sure that was the only totally factual line in the whole article. False. Jamshyer McUmber may, in fact, be the greatest name of all time. You didn't miss anything and neither did that sentence. A. That's why I'm here. Aaaaand that's where I lost it. surprised Charles, the Monarch Lion, didn't make an appearance. Old Dominion's most legendary gridiron moment occurs on Oct. 14, 1932, when Tommy Scott's Norfolk Division Braves football team, taking advantage of a case of mistaken identity, plays the mighty University of Miami Hurricanes. The Braves lose the hard-fought contest, 6-2, a game that was meant to be played by parent institution William and Mary. Every time I think you can't outdo yourself and you prove me wrong. I love it! God the full gif with the fist pump just makes this so much worse. I'd almost gotten to a place where I could see this without cringing too hard. But seeing him play the string all the way out with the awkward dad fist pump just makes it awful. But a few missed grading periods later, and it was time to face facts; that drunken night was going to have more consequences than just the future of their friendship. My gosh, I had to read this twice before I realized what was done here. Damn. Both hysterical and educational! Water shot out my nose on the BBQ section! 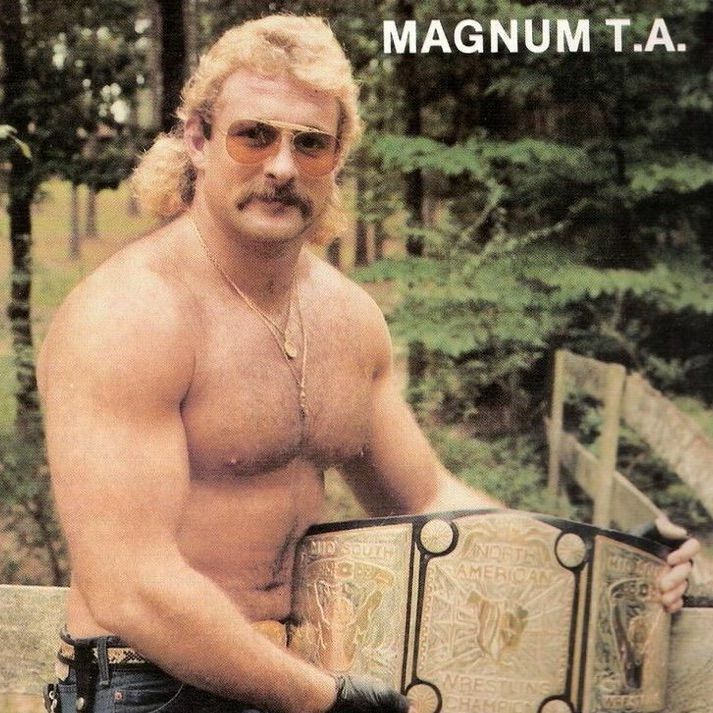 I might be the only one, but neither of my grandmothers could cook for s#*t.
2 things, f the bbq, hit a brewery near by and foodtruck if visiting and norfolk native magnum t.a. went there for a couple of yrs before he transitioned to the nwa. had he not been a car crash, his career arc would have blown away sting's. side note, the bco's first legal beer purchase was at a 7-11 near ODU. ahole didn't even card me. That's no way to treat your mother! We're going to have to whip this unruly child into submission as punishment. I thought it was weird...but it still didn't really click until "Settle to return a punt..."
Only if it isn't a good year old thread. This one was pretty hilarious, and completely relevant.